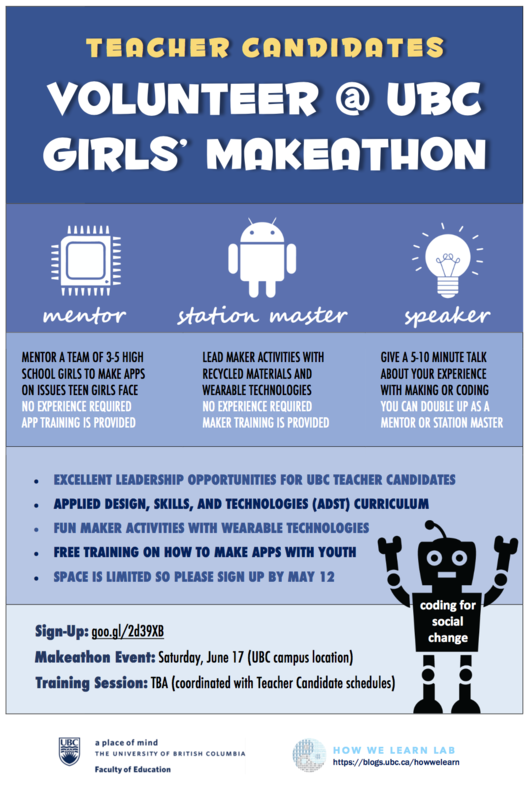 Leadership opportunities are available for Teacher Candidates to volunteer at the UBC Girls’ Makeathon! 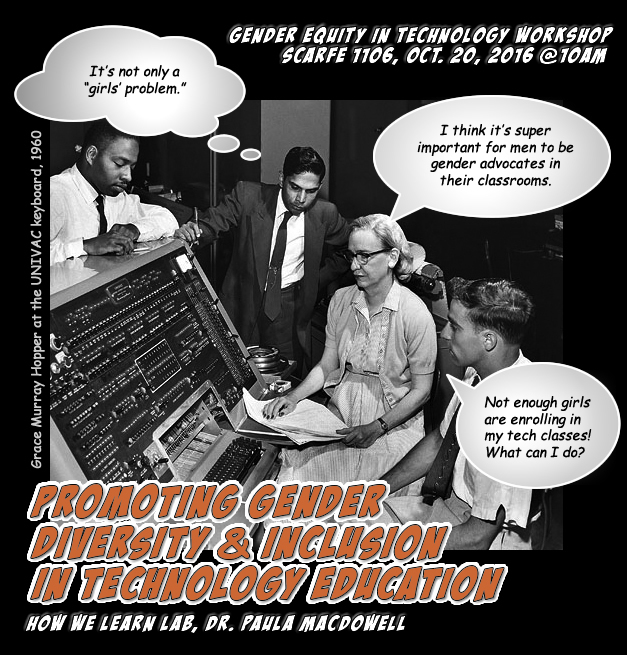 This is an equity-oriented event for high school girls to learn how to make apps and have fun exploring maker activities with recycled materials and wearable technologies. 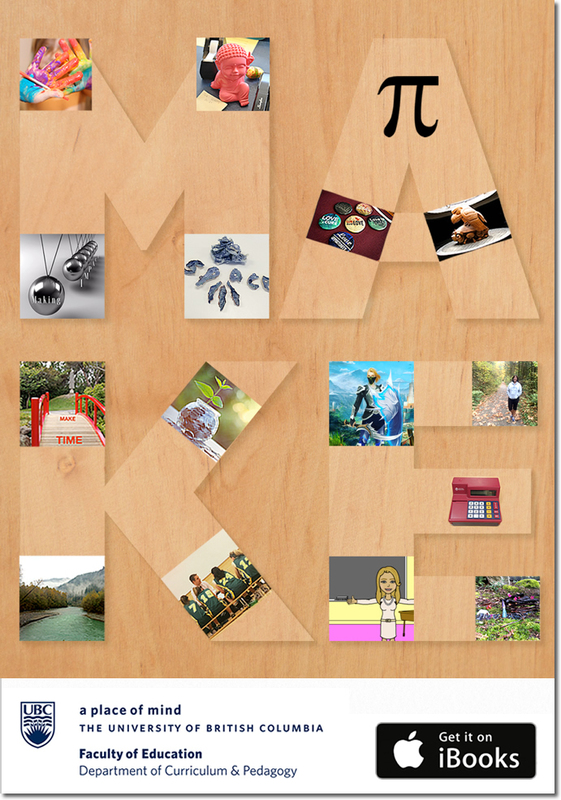 You need to be available to volunteer on June 17 @ the Makeathon. Also, we require that you attend a one-hour event planning meeting on May 16 (please share when you are available on the Google Form). No previous experience is necessary: we will train you! 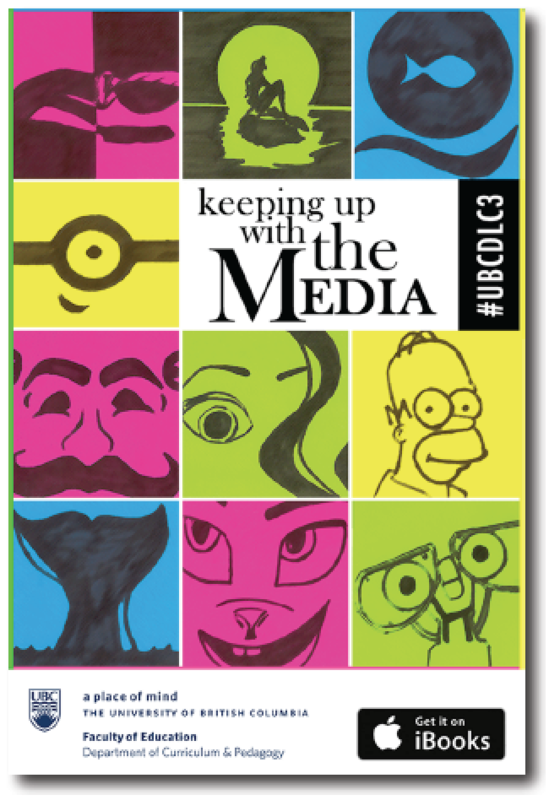 We will have a fun training session on app making, wearable tech, and the ADST curriculum. This two-hour training session will be coordinated according to the availability of our volunteers.